Every goal we achieve leads us onward, because every solution brings new perspectives to share, new ideas to imagine, and new problems to solve. Because of your investment in RIT, we are driving progress, shaping what’s possible, and transforming the future by transforming RIT. Greatness is surrounding yourself with diverse talent—thinkers and creators who elevate a team. Greatness is creating a transformative student experience inside and outside the classroom, leading to alumni who become engaged global citizens. 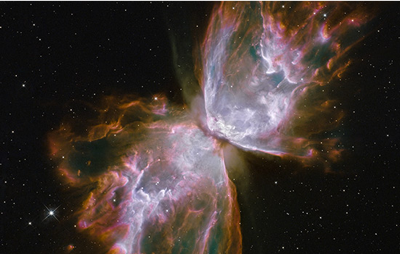 Greatness is bringing goodness to the world through research and discovery. Greatness is reimagining innovation. Please join us on our journey as we work together toward a shared destiny. We’re driving progress. We’re shaping what’s possible. We’re transforming the future, by transforming RIT. Our university has always stayed true to, and protected, our founding mission: preparing the whole student, an individual who is well rounded and well equipped; an individual who is eager to take on whatever the world sets before him or her. These individuals and our beloved university are the inspiration for our blended campaign, Transforming RIT. Our vision is clear. Our plan is thoughtfully outlined. And the fruits of our campaign will be transformational for our current and future students, our faculty, our national economy, and the greater global society. As co-chairs of Transforming RIT, we are honored to give back to RIT — a community that has fueled the imagination of each of us. Each time we visit campus, listening to students’ remarkable stories is always the highlight. Their messages of innovation, progress, vitality, and intellectual energy remind us of our founding mission and foretell the promising future of this unique university. As donors, we understand how that spark within RIT’s story touches and energizes you on an individual level and compels you to give back. If you need more proof of RIT’s value as a philanthropic investment, we invite you simply to spend some time with an RIT student, an RIT professor, or a beneficiary of one of RIT’s wonderful research endeavors. We are confident the encounter will give you great hope for a powerful and bright future for all of us. Your generous support of RIT’s educational enterprise moves us all forward. Greatness never comes easily, but it begins with the difference you will make with your support. Thank you for joining us now as we enter the greatest time in our remarkable history. President and CEO, Appvance Inc. This program was more than an internship. It was a once in a lifetime opportunity that I am so grateful to have been able to enjoy. I owe so much to the professors and officials in the Criminal Justice department of RIT, as well as those involved with the Clark Scholarship, for making this possible. 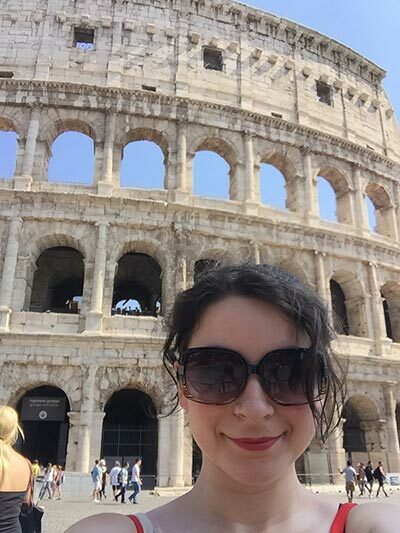 Many students fulfill internships during their college years, but few have internships that take them to Italy to serve in a major U.S. Consulate. Thanks to the Ruth & Brackett Clark Internship Support Fund, that’s exactly where Jaleesa Panico ’18, found herself as a third year RIT undergraduate. As a criminal justice and psychology double major, internships, not co-ops, are the norm for experiential learning. Some of the most valuable internship opportunities require students to travel and live in another city without the benefit of a salaried position. In Jaleesa’s case, her internship was a combined work abroad experience at the U.S. Consulate in Genoa, Italy, working on a number of projects related to psychology and law. Jaleesa and other interns were assigned to act as representatives of the U.S. and the Consular Agency at multiple events. It was a privilege to be formal representatives for the United States, RIT, and the Agency – a privilege that few undergraduates experience. Jaleesa’s experience was made possible by the internship support she received. "This program was more than an internship. It was a once in a lifetime opportunity that I am so grateful to have been able to enjoy. I owe so much to the professors and officials in the Criminal Justice department of RIT, as well as those involved with the Clark Scholarship, for making this possible." In June 2017, College of Science faculty, staff and students launched a five-year plan to foster a more inclusive environment across the College. The Inclusive Excellence (IE) initiative will increase infrastructure, resources and expertise to strengthen inclusion in STEM education—embracing perspectives, strengths and insight from a multicultural base of faculty, staff and students in the College of Science. Included in this population are transfer students and first-generation students. Over the 5-year project timeframe, the intent is to build community with multiple opportunities for discussion and formal and informal peer-collaboration. 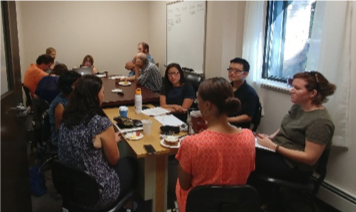 The goal is to engage 70 percent of the College of Science faculty (including new hires), and a majority of students in project activities, which will lead to campus-wide participation. The focus is on three distinct areas that support successful student experiences: Research/Mentoring, Classroom Practice/Teaching and Informal Community. To learn more about Transforming RIT: The Campaign for Greatness, how you can get involved, or to make your campaign gift, please visit rit.edu/transformingRIT. And watch for future updates on how philanthropic and government grant dollars are transforming RIT. The number of individuals entering end-stage kidney failure is increasing by five percent each year, driving high costs and higher patient challenges from the increased need for dialysis. Despite significant advances in medical technology and materials, dialysis technology and treatment has not changed much in the last two decades. New nano-membranes, just one of the initiatives in RIT’s personalized health care technology research agenda, may offer hope to these patients for improved treatment and better lives. Tom Gaborski, RIT associate professor of biomedical engineering, is developing these flexible structures made from porous materials for more precise cell filtration and analysis to detect diseases. Gaborski’s team is taking a dual approach in that evolution, testing and improving the nanofabrication process, and at the same time, evaluating the impact of the new nano-porous membranes—more than 1000x thinner than a human hair—on applications such as hemodialysis. The new membranes could be part of a wearable system that goes anywhere the patient does and helps continuously maintain proper water balance. Rochester Institute of Technology, through the Simone Center has been a proud participant in the National Science Foundation’s I-Corps program and National Innovation Network (NIN) since 2014. The I-Corps program supports early-stage commercialization of products in the sciences, technology, engineering and mathematics (STEM) fields. The program provides funding for academic teams to work with an entrepreneurial/industry coach and a curriculum that enables a robust customer discovery, business model development and minimum viable product development process. 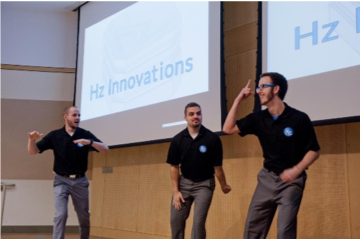 Beginning in 2018, two I-Corps grants have been received; one in support of the innovation teams, and one that enabled RIT to launch the NSF Deaf Innovation Bowl. NSF’s I-Corps program offers two designations. I-Corps University Site designation is for universities to provide “internal” I-Corps training to STEM students and faculty. 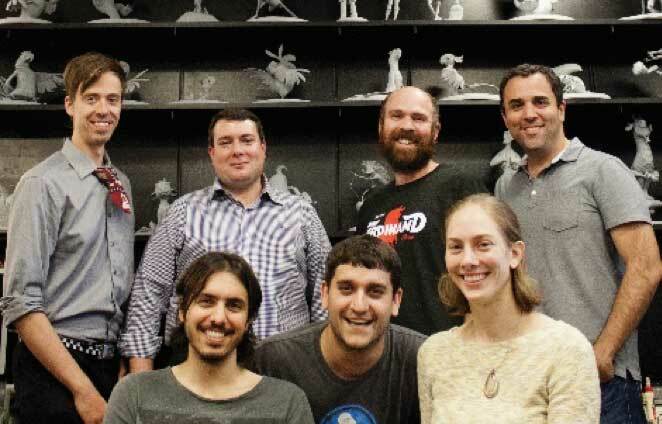 Each team receives training, a coach and access to $3,000 to advance its technology concept. I-Corps Node designation, which can comprise one university or a group of universities, is for “external” I-Corps training for STEM faculty. The Simone Center and RIT possess both Site and Node designation. RIT was designated as an NSF University Site in 2014 to conduct internal training, and in 2016, RIT received Node designation as part of the Upstate NY Alliance partnership formed with Cornell University and University of Rochester. A revolutionary technique developed by NTID astrophysicist Jason Nordhaus could allow for a better understanding of the fates of solar systems when their stars cease to shine. With the help of a three-year grant from NASA/Space Telescope Science Institute, Nordhaus has developed a system of complex 3D super-computer algorithms able to pinpoint the existence of previously undiscovered planets and celestial bodies associated with dying stars. An NTID assistant professor of physics and a program faculty member in RIT’s astrophysical sciences and technology Ph.D. program, Nordhaus is also is a member of RIT’s Center for Computational Relativity and Gravitation, whose simulations of merging black hole binaries were used by the LIGO Project to confirm the breakthrough detection of gravitational waves from binary black holes in space. degrees, the university is making great strides in bringing more women into this important area. females. 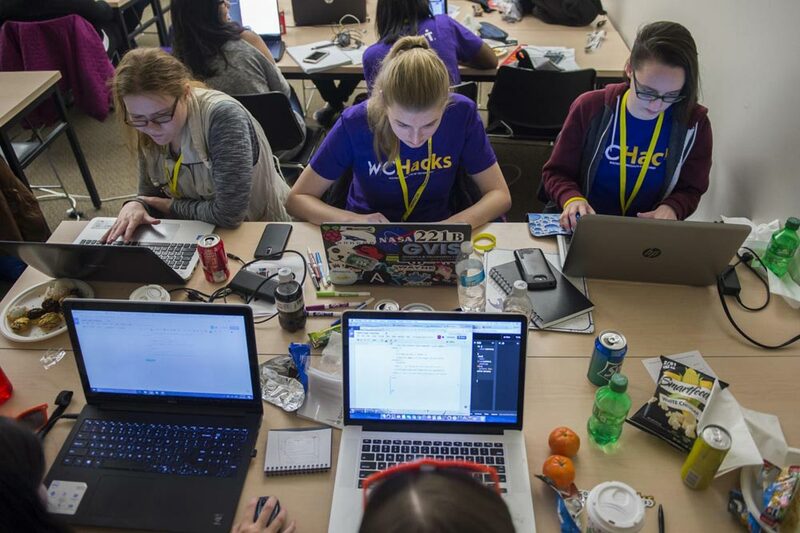 The fund was just created this month and marks the college’s first endowed scholarship of its kind to benefit women in computer science. Women in Computing Endowed Scholarship – created by RIT faculty and seeking additional donor support, will provide scholarship support for an undergraduate student in GCCIS with a specific preference for female candidates. JP Morgan Chase general support of WiC – this corporate gift supports GCCIS women through scholarship, travel expenses, equipment, and other general activities to strengthen and improve the Women in Computing program at RIT. 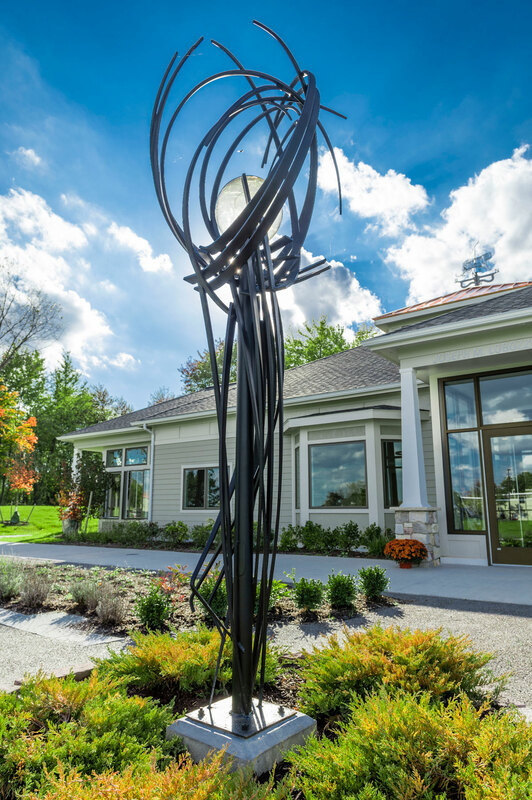 A powerful partnership was formed when Genesee Country Village & Museum in Mumford, NY, and Rochester Institute of Technology formally agreed to apply joint problem solving and applied research to the museum’s needs. Supported by donors to the partnership and supporters of student experiential learning projects, the RIT/GCV&M relationship is reimagining the visitor experience, creating data-driven marketing and business plans, and developing technology-driven solutions for collections management and preventative conservation. The results of these projects will help future-proof the museum and similar museums across the country. RIT’s unique blend of technology, humanities, and art and design programs makes such an interdisciplinary approach possible. RIT has the ability to bring together students from the right degree programs and have them collaboratively apply their advanced skills to GCV&M’s unique environment in a way, unlike most other universities. 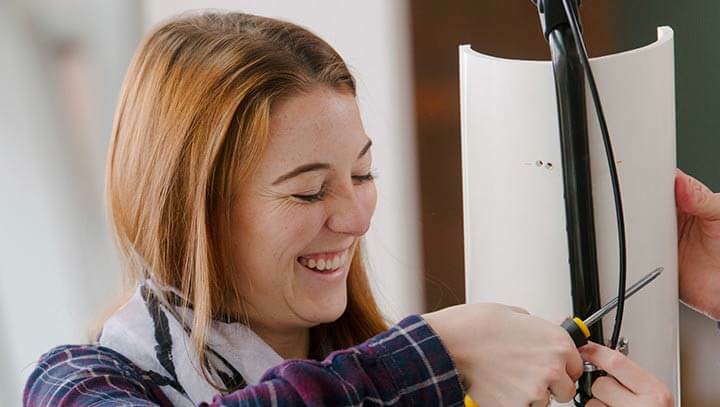 In turn, GCV&M has become a valuable hands-on research and learning laboratory for students in museum studies, business, engineering, computing, design, and digital humanities degree programs. Career defining. That’s how many RIT engineering alumni describe their experience working on their Multidisciplinary Senior Design projects. 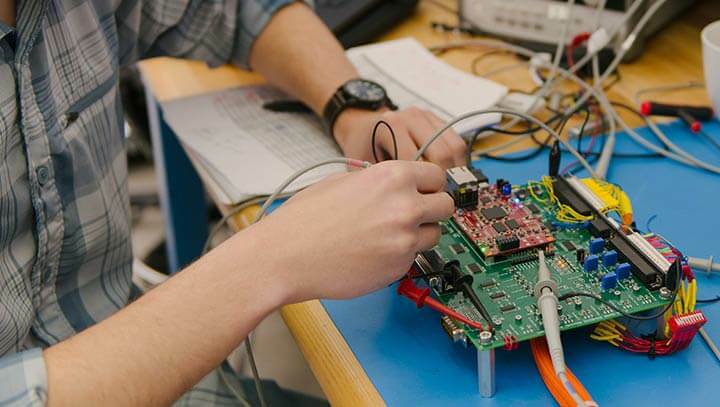 These experiential, real-world projects, funded by donors and corporate partners, alike, introduce students to life as a professional engineer by guiding them through the design-build-test process. Student team members build skills like communication, defining customer requirements, extensive documentation, and risk management. They also learn the value of process, risk assessment, decision making instead of instruction following, and how to plan for and respond to failure. 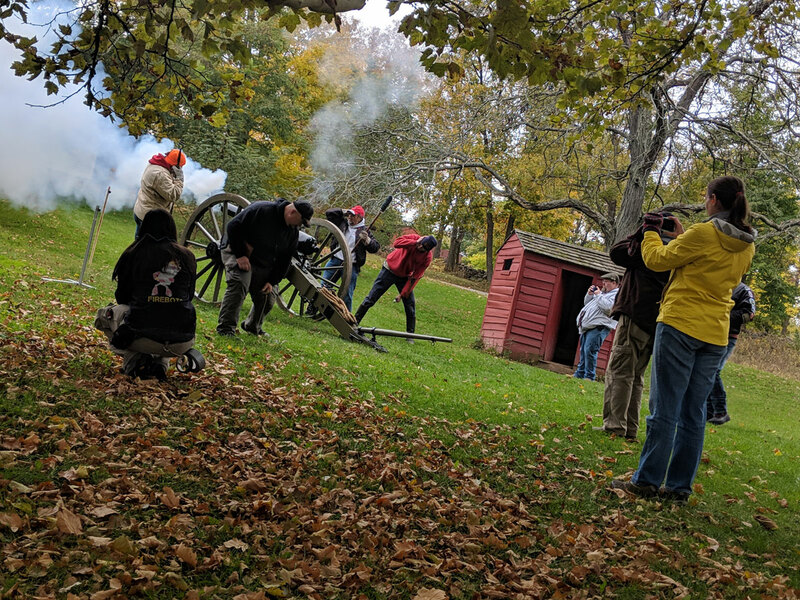 In the case of one team, they learned how artillery fire during Civil War reenactments can damage historic structures in a living museum, and how engineering can be used to assess packing a charge design to lessen the impact on fragile glass and plaster. With more than 125,000 alumni around the world, RIT is the proud alma mater for business leaders, scientists, designers and artists, tech innovators and community leaders alike. We celebrate their successes in their industries and their communities, but we also enjoy welcoming them back to campus. Until fall 2018, RIT alumni had no place to call their own on the main campus – a campus that has changed dramatically since many of them were students. Helping our alumni navigate the modern campus, welcoming them when they return, and offering them the opportunity to gather as alumni groups here at their university was challenging. Thanks to the generous gifts of many RIT alumni, the Joseph M. Lobozzo Alumni House became a home on campus for RIT alumni, and was officially dedicated in October 2018. This stunning alumni-centric facility is available for meetings, reunions, private events, and as an official welcome center for all RIT Tigers coming to visit campus for any reason. It is invigorating knowing that with the research work we’re doing, coupled with drive and ambition to move the project ever forward, my team and I have the ability to change lives for the better. We have a lot more work ahead of us but I’m determined and with the right attitude, anything is possible. 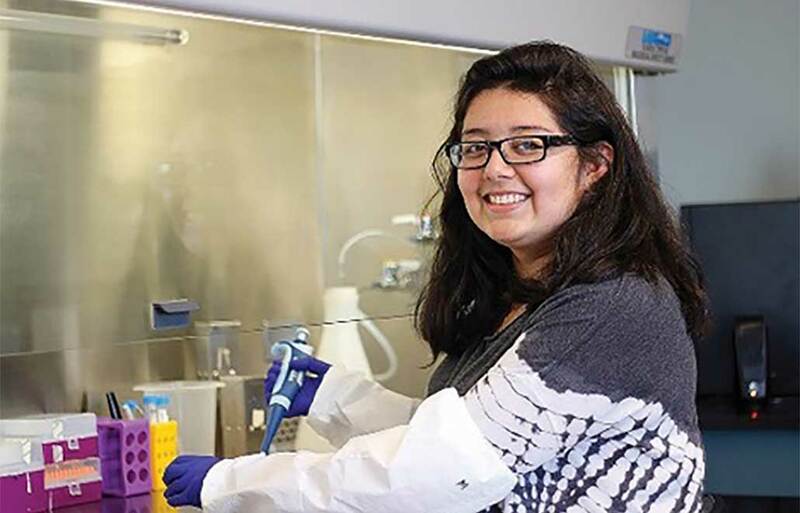 A fourth-year student concentrating in neuroscience and entrepreneurship, Anika Aftab ʹ19 is actively engaged in a multi-university research project specific to neurotechnology exploration using Brain Computer Interface (BCI). A former pre-med student who shifted her academic focus prior to her second year, Anika is the chief operating officer of her research team. In her role, Anika is combining her pre-med studies with her business know-how and entrepreneurship education to help her team develop a prototype of a device that will enable signals from the brain to interpret unspoken thoughts, translating them to words on a screen and thus enabling two-way communication. 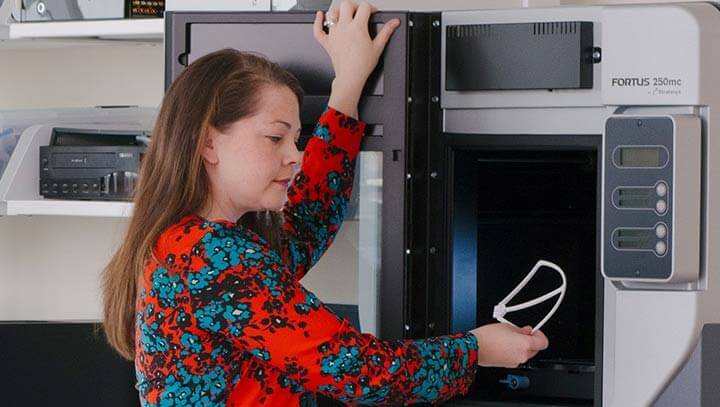 She hopes their research and development will provide a breakthrough technology that will help those who suffer from motor impairment that occurs in patients with diseases and congenital conditions like Parkinson’s or ALS. "It is invigorating knowing that with the research work we’re doing, coupled with drive and ambition to move the project ever forward, my team and I have the ability to change lives for the better. We have a lot more work ahead of us but I’m determined and with the right attitude, anything is possible." As an undergraduate at RIT, I participated in groundbreaking research, completed a co-op position at the Renal Research Institute, and first-authored a published research paper. The opportunities for undergraduate students at RIT are substantial, and will help me become a successful scientist. In RIT’s biomedical engineering program, the commitment to undergraduate research is evident. 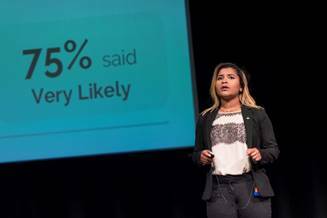 As a third-year bachelor’s degree student, Melissa Mendoza ’17 was first author on a published scientific paper on kidney dialysis patients to help improve their care and prognosis. Armed with her valuable co-op experience at the Renal Research Institute, and with meaningful research experience, Mendoza is now a Ph.D. candidate in biomedical engineering, and looking forward to developing the technologies and techniques that will dramatically improve lives for the nearly half-million people in the U.S. undergoing dialysis. Melissa’s dreams, her education, and her invaluable research experience are all directly connected to the generous support of donors who believe RIT students can change lives. 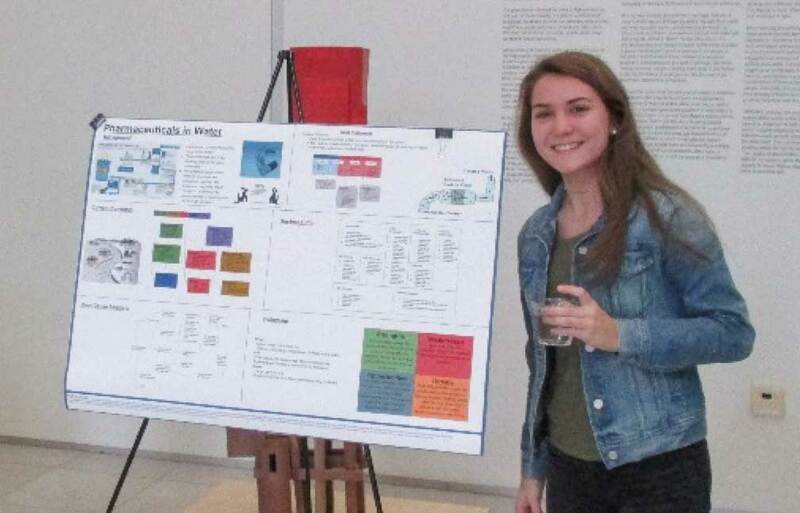 "As an undergraduate at RIT, I participated in groundbreaking research, completed a co-op position at the Renal Research Institute, and first-authored a published research paper. The opportunities for undergraduate students at RIT are substantial, and will help me become a successful scientist." These students are learning the process of data collection, application planning, and design. But more than that, they are doing something interactive with the people of Rwanda and Jordan and making a difference. There is no question RIT students can apply technology in effective ways. Thanks to experiences like study abroad, multidisciplinary projects, and team innovation projects, many of our students are applying technology in ways that are reshaping the world. Students working with associate professor Dr. Brian Tomaszewski from the Center for Geographic Information Science and Technology have accompanied him physically and virtually to refugee camps in the Middle East and Africa. Working directly with the United Nations and refugees, students gather data and create mapping applications designed to enable refugees to navigate their environment, find resources, and access vital human services. Not an average study abroad trip, Dr. Tomaszewski’s students gain experience and skills using mapping technology to address real-world issues, and also gain a rare, first-hand view into the lives and experiences of refugees. Experiential learning that changes someone else’s life for the better is a valuable way to educate students for lives of purpose. "These students are learning the process of data collection, application planning, and design. But more than that, they are doing something interactive with the people of Rwanda and Jordan and making a difference." We want RIT engineering students to think like liberal arts students, too. We want them to be mindful of the social context in which they will work, to understand ethical problem solving, to be adept at communicating ideas and to be masters in critical thinking. RIT’s College of Liberal Arts and Kate Gleason College of Engineering are transforming how future engineers prepare to tackle the world’s biggest problems. The Colleges have partnered on a “Grand Challenges Scholars Program” which encourages students to think about ways their work can change society. The program asks students to pursue solutions to some of the most challenging global problems such as reducing hunger, expanding renewable energy and ensuring clean water for a growing world population. After decades of increased demand for specialized, highly technical skillsets, employers and society have found many of today’s challenges cannot be solved by technology alone, and many professionals lack the broad skills to play a role in driving change. By integrating carefully planned and directly relevant liberal arts coursework into engineering curricula, RIT’s future engineers have the opportunity to learn more than the technical specs for solving a problem. They also learn why they are solving the problem, who is impacted, and what unintended consequences may come from their solution. "We want RIT engineering students to think like liberal arts students, too. We want them to be mindful of the social context in which they will work, to understand ethical problem solving, to be adept at communicating ideas and to be masters in critical thinking." What attracted me to RIT was the faculty’s hands-on approach and how they exposed all parts of the film making process. 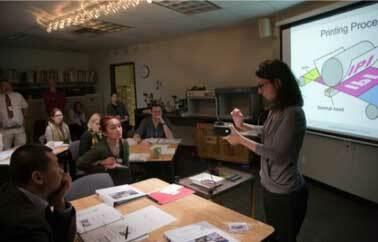 Faculty mentoring and state-of-the-art tools supported our projects and made classes highly engaging. RIT is a great educational environment that helped set me on a path to a successful career. Animators are equal parts artist, actor, puppeteer, and nerd. Combining creativity, unique skills, and technological knowledge, RIT students and alumni are sought-after employees at award-winning creative companies like The Walt Disney Company, Third Floor Visualization, creators of many of the Marvel Studios visual effects, and Blue Sky Studios, creators of animated feature films like the Ice Age movies, and The Peanuts Movie. The special blend of skills, knowledge, and passion needed to be a feature film animator or visual effects wizard can be seen in our alumni. Developing that blend requires a different approach to education that combines artistic commitment, technological skills, and design thinking. RIT is known for being an outstanding educational choice for this unique environment. "What attracted me to RIT was the faculty’s hands-on approach and how they exposed all parts of the film making process. Faculty mentoring and state-of-the-art tools supported our projects and made classes highly engaging. 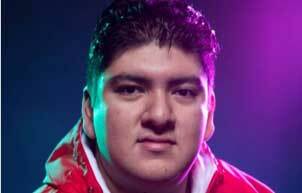 RIT is a great educational environment that helped set me on a path to a successful career." This small step in modifying our spaces has opened up significant opportunities for our students and faculty to work across boundaries and at human-scale, which is fundamentally important in order to test our ideas fully. We see this as the beginning of a plan to unpack design education for the 21st century and target critical impact going forward. Good design is more than making pretty things; it is a merger of art and engineering, business, and psychology, with a healthy dose of entrepreneurial thinking. With donor support, RIT’s nationally ranked industrial design program began a significant renovation of their studio space to reflect design best practices and culture. In the process, the program opened opportunities to students for world-changing impact. The first renovation step was to create an open collaboration space, allowing for physically larger projects than the studio was able to accommodate in the past, and dramatically changing the capacity for multidisciplinary collaboration. The seemingly small renovation resulted in immense benefits for an exciting multi-disciplinary student design project called “Hope for Honduras.” This impactful project focused on reducing infant mortality in Honduras. RIT Interior Design students proposed designs to build a 4,200 square-foot neonatal intensive care unit addition at Honduras’ largest public hospital. 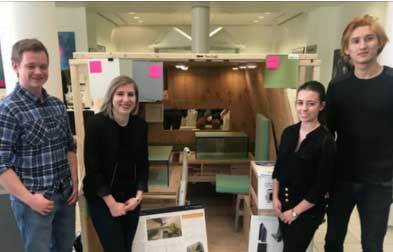 Industrial Design students designed preemie examination tables and a mobile education unit. The team has been working with an international aid organization, making it possible for their project to change infant care in developing countries. "This small step in modifying our spaces has opened up significant opportunities for our students and faculty to work across boundaries and at human-scale, which is fundamentally important in order to test our ideas fully. We see this as the beginning of a plan to unpack design education for the 21st century and target critical impact going forward." Being part of CyberCorps® Scholarship for Service is a great recognition of the quality of our computing security program at RIT. This will help us support talented students and add to the ranks of highly qualified RIT graduates now working in the field. 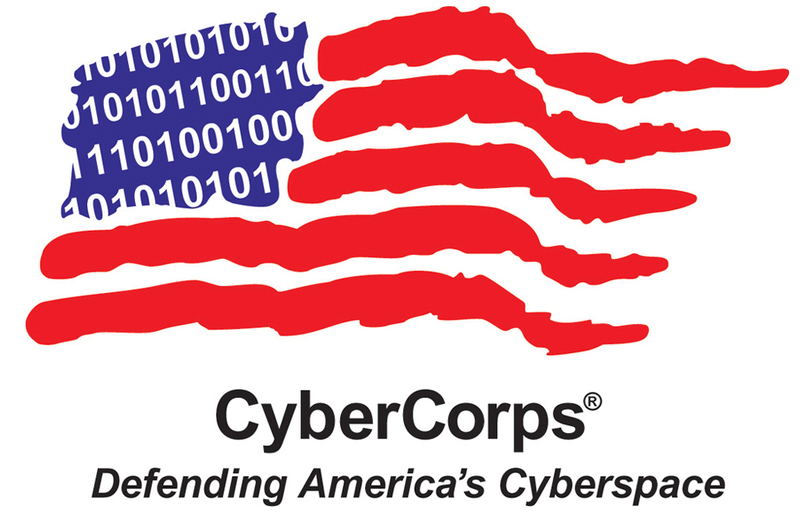 RIT has been chosen as an elite member of the federal CyberCorps® Scholarship for Service program. Supported by a National Science Foundation grant in partnership with the Department of Homeland Security, the CyberCorps scholarship program positions the university to increase the nation’s ability to protect our vital information technology infrastructure by attracting and educating future cybersecurity professionals. CyberCorps scholarships are open to RIT undergraduates entering their third or fourth year in computing security, computer science or software engineering. The funding covers the final three years of a combined Bachelor/Master of Science degree in computing security. Over the life of the grant, 21 RIT students will receive funding to help pay for tuition, books and professional development, plus annual cash stipends. In exchange for the scholarship, students agree to work in computing security for the government one year for each year they received funding. "Being part of CyberCorps® Scholarship for Service is a great recognition of the quality of our computing security program at RIT. This will help us support talented students and add to the ranks of highly qualified RIT graduates now working in the field." I think this scholarship, and others like it, represent hope in the City of Rochester as underrepresented students reach for a higher education in the top schools of the area. As a high school senior, my dream was to simply get a college degree, but the opportunity the Destler/Johnson Rochester City Scholars provided me has made me the best version of myself. I feel ready for the future, and excited to see my generation succeed as we are close to finishing our Bachelor’s Degrees. Education changes the lives of urban youth. Holding fast to that belief, RIT has joined with the Rochester City School District to create the Destler/Johnson Rochester City Scholars Program. Honoring RIT’s past president Bill Destler, and his spouse, Dr. Rebecca Johnson, the program enables all qualified City School District graduates to study at RIT tuition-free. Drs. Destler and Johnson personally championed the program, and upon President Destler’s retirement from RIT, hundreds of well-wishers joined together to endow that scholarship fund and name it for the two university leaders. The program reinforces the City School District’s message that college is an attainable goal for each student, regardless of economic standing. It incents students in the region’s most economically challenged neighborhoods to pursue academic success knowing that there is a reward beyond just high school graduation, helping to further develop a college-going culture among Rochester’s city population. "I think this scholarship, and others like it, represent hope in the City of Rochester as underrepresented students reach for a higher education in the top schools of the area. As a high school senior, my dream was to simply get a college degree, but the opportunity the Destler/Johnson Rochester City Scholars provided me has made me the best version of myself. I feel ready for the future, and excited to see my generation succeed as we are close to finishing our Bachelor’s Degrees." There were times when I said ‘I can’t do this,’ but Dave was the one who encouraged me, with laughter and firmness too. He gave us all good lessons on how to become proper adults. David "Dave" Hathaway was known for his big laugh and bigger heart. 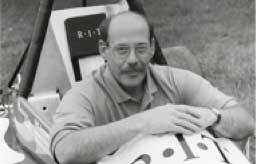 For decades, Dave served as the operations manager of the Kate Gleason College of Engineering machine shop, teaching thousands of students about making things. He also looked out for RIT students who were in need of extra emotional support due to extraordinary circumstances. Anyone who entered the machine shop received his undivided attention to student success. Dave maintained that he was here for the students, regularly stating “you guys are what keeps me here” a motto responsible for countless project teams and student achievements in addition to friendships that continued beyond the RIT program. This valued mentor to generations of students passed away in 2015, and his former students, colleagues and friends found a fitting way to honor his legacy of caring. An online auction for some of Hathaway’s precision tools generated proceeds and keepsakes. The keepsakes provided the donors fond memories of their friend. 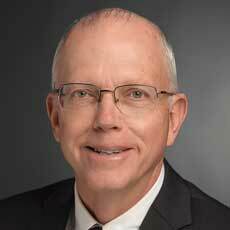 The proceeds endowed the David L. Hathaway Endowed Scholarship, created to improve the lives of students who have made it to RIT despite extraordinary circumstances. "There were times when I said ‘I can’t do this,’ but Dave was the one who encouraged me, with laughter and firmness too. He gave us all good lessons on how to become proper adults." These young women are exceptional student-athletes both in the classroom and on the ice. I am a season ticket holder and enjoy their brand of hockey. This feels good to me. It’s the right place to start for an endowed coaching position. After winning consecutive College Hockey America championships in 2015-2016, the RIT Women’s Hockey Team celebrated a groundbreaking “win” of a different kind. 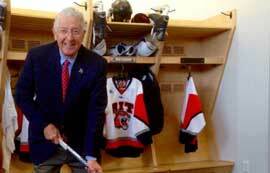 Longtime RIT support Bruce Bates created the Bruce B. Bates Women’s Hockey Coach, the university’s first endowed coaching position for Tiger athletic programs. Endowed earnings from Bates’ gift supports the salary of the women’s head hockey coach and provides ongoing budget dollars to RIT’s athletics programs. The endowed position provides financial support that is critical to building consistently competitive teams. However, it also provides an attractive component to athletic recruiting efforts in RIT’s multi-division environment, where athletic scholarships are prohibited by NCAA rules. Scott McDonald, the program’s all-time leader in coaching wins, was named the first Bruce B. Bates Women’s Hockey Coach. In his tenure, McDonald has transformed the Tigers into one of the most successful and respected teams in all of college hockey, and making RIT a lightning rod for women interested in playing college hockey. "These young women are exceptional student-athletes both in the classroom and on the ice. I am a season ticket holder and enjoy their brand of hockey. This feels good to me. 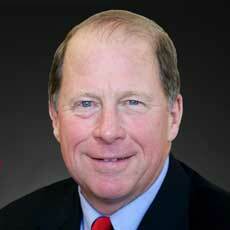 It’s the right place to start for an endowed coaching position." With support from a National Institutes of Health grant, RIT is researching fabrication of ultrathin nano- and micro-porous membranes that may not only solve the needs of researchers studying the basic biology of barriers, but also scientists and engineers investigating drug discovery and stem cell differentiation. 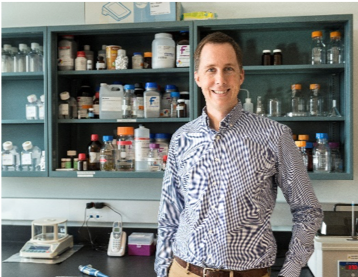 Dr. Tom Gaborski, RIT associate professor of biomedical engineering, is developing these flexible structures made from porous materials for more precise cell filtration and analysis to detect diseases. Gaborski’s team is taking a dual approach in that evolution, testing and improving the nanofabrication process, and at the same time, evaluating the impact of the new nano-porous membranes—more than 1000x thinner than a human hair—on applications such as hemodialysis. 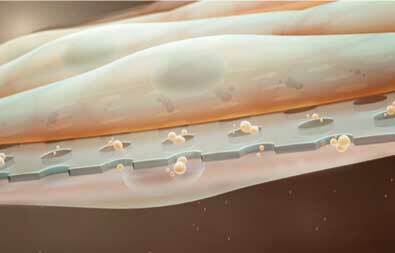 The new membranes could be part of a wearable system that goes anywhere the patient does and helps continuously maintain proper water balance. "With support from a National Institutes of Health grant, RIT is researching fabrication of ultrathin nano- and micro-porous membranes that may not only solve the needs of researchers studying the basic biology of barriers, but also scientists and engineers investigating drug discovery and stem cell differentiation." IPI is actively addressing challenges associated with establishing sustainable environmental management programs in cultural institutions and at developing new tools to guide preservation planning for traditional image collections as well as contemporary digitally printed materials. A survey of cultural heritage institutions around the United States revealed significant concern about how to care for the growing number of digitally-printed materials in their collections, many of which have experienced some degree of objectionable deterioration, including fading, yellowing and water damage. RIT’s Image Permanence Institute (IPI), a world leader in sustainable practices for the preservation of cultural heritage collections, has created workshops on identifying and caring for digitally printed materials in libraries, archives and museums throughout the United States. 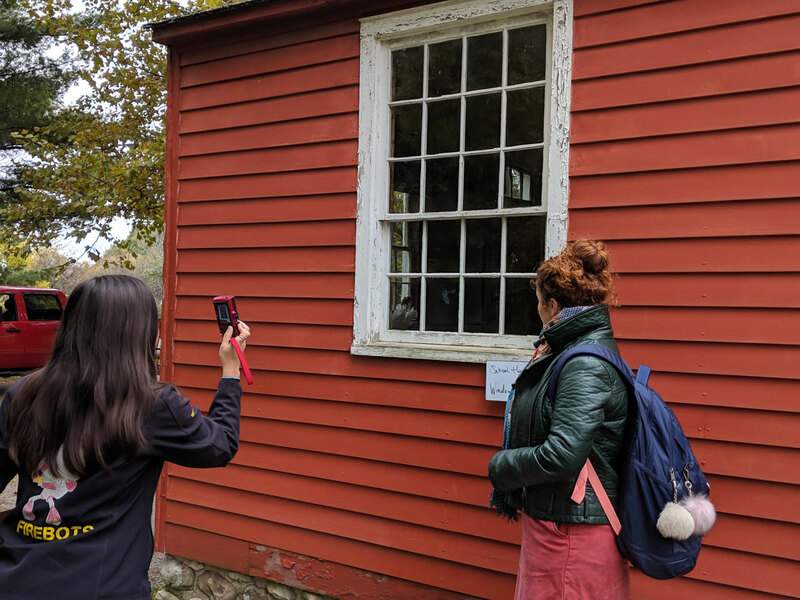 Digital Print Preservation: Education and Training for Cultural Heritage Professionals, leverages more than a decade of research and education initiatives at IPI, and was created and executed through a grant from the National Endowment for the Humanities. "IPI is actively addressing challenges associated with establishing sustainable environmental management programs in cultural institutions and at developing new tools to guide preservation planning for traditional image collections as well as contemporary digitally printed materials." My goal with this gift is two-fold. First is to help make more resources available to students, alumni and the community at-large to create, build and innovate for the future. But it’s also to help recognize those who helped you along the way. My success today would not have been possible without my time at RIT. 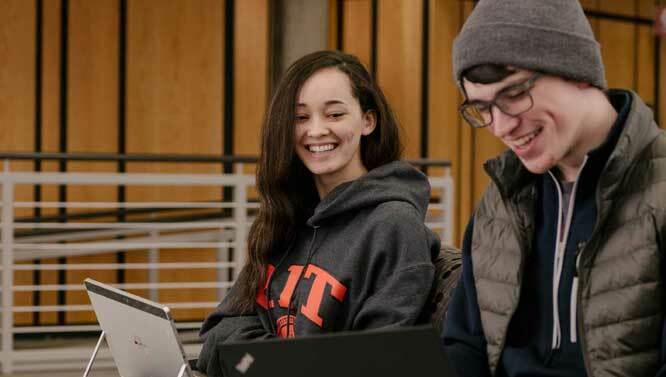 In a world of uncertainty, RIT strives to deliver on an educational promise that our graduates will be “future-proofed.” Students must be educated beyond discipline-specific knowledge, and steeped in critical thinking, innovation, and interdisciplinary opportunities. This learning model is not found solely in a classroom. For some students, it is not found in a traditional classroom at all. It is found in facilities that are innovative and engaging, and designed to be incubators for learning, discovery, and multidisciplinary creation. 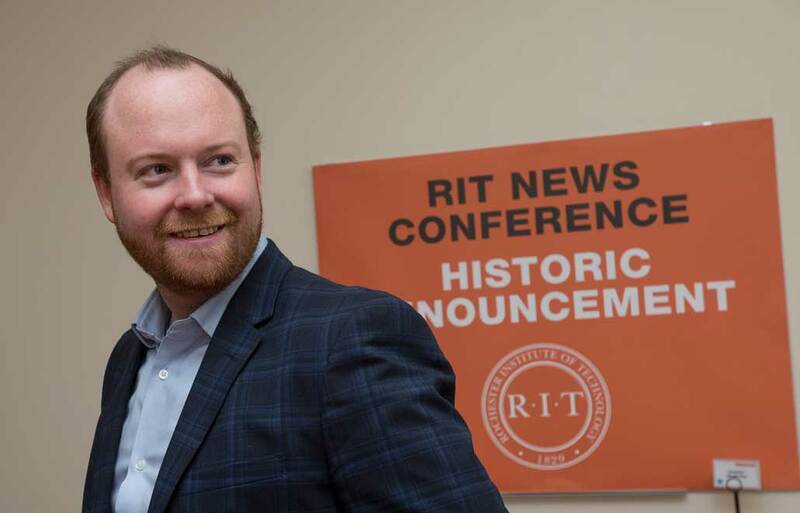 With the largest gift ever received by RIT, alumnus Austin McChord ’09 has launched exciting plans to transform one of the most important university structures into an innovative learning complex for the entire campus community. RIT is designing the Maker Library & Innovative Learning Complex of the Future, a new facility connecting RIT’s Wallace Center and the Student Alumni Union. This inspiring space will meet growing demands for hands-on making space, including space for many existing RIT clubs and competitive teams, and enable innovative academic and experiential programming not centered in any one college. The new facility will be a signature university structure reflecting a national doctoral university – a Top 100 university in the United States. "My goal with this gift is two-fold. First is to help make more resources available to students, alumni and the community at-large to create, build and innovate for the future. But it’s also to help recognize those who helped you along the way. 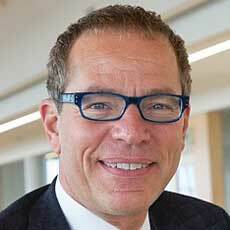 My success today would not have been possible without my time at RIT."